This entry was posted in Catholic Church, Pope Francis and tagged Arab Peninsula, Arabia, Catholic Church, Crusades, Pope Francis, St Francis of Assisi, Sultan, United Arab Emirates. Bookmark the permalink. ← In the Morning We Praise You, O Lord! Dear Brother in Christ, I thank you sincerely for this post. I have waited a couple of days before responding because I wanted to prayerfully and gently assess what could be the reason for his journey. If he, like Francis of Assisi is The Light of Christ in the darkness of deception and cruelty then indeed this visit is God’s Will for 2019. 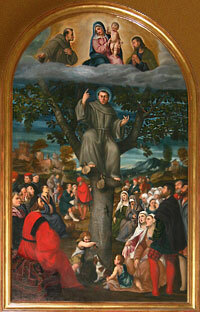 I know my heart spiritually soared when Francis was elected Pope and believed at the time God spoke in my heart. He will be My Pope to encouraging and bring millions of Catholics around the world to truly KNOW Who their Saviour and Lord is. From the point of view of NATIONS …..only the ones who are aligned with Israel will stand, (thank God for leaders who lead them in this way. Even if in our eyes they look like asses. BUT for the people, May God indeed use Pope Francis to be a true LIGHT OF CHRIST in the Muslim Nations while we, as the grass roots believers, love our enemies as we love ourselves and simply reach out with love to those ,even in our neighbourhoods, who hate us if we passionately love Christ and the Salvation ……..Message of the Cross.